Duncan Booth was a keen mountaineer before being diagnosed with MS 7 years ago at the age of 39. Duncan was the inspiration behind his wife’s 10 in 10 mountain challenge, which his wife Yvonne created to raise funds for the Multiple Sclerosis Society, to help find a cure for the condition. The couple’s determination to create a better future for MS sufferers resulted in an annual challenge, tackling ten mountains in ten hours, which both they and hundreds of fellow, sponsored supporters, first took on in 2011. In 2017 Duncan challenged himself further: cycling 1,200km to Gothenburg for his cousin’s wedding earlier this month, with ten of the twelve travelling days cycling. He aimed to raise £2,000 by setting off on his CycloTricity e-bike on 25th June from his home town in Keswick. Duncan’s JustGiving page has since surpassed £6,000. Duncan details his battles with incessant rain, closed restaurants and train station lifts, but with brighter moments provided by Jaffa Cakes, dehydrated chilli, Google maps and bacon double cheeseburgers from McDonalds – and most importantly, thoughtful passengers on the train journey from Hamburg to Copenhagen, who helped unload Duncan’s bike with its battery and tent-filled trailer on to the platform, on his blog. While the first part of his epic journey presented the impossible challenges of keeping both himself and his equipment dry (“my batteries were charging at an electric hook-up,in the rain, in a bin bag”) the last leg of the journey presented some much needed sunshine, “awesome cycle tracks” and three days of “100km of amazing, flat open countryside” filled with wildlife. 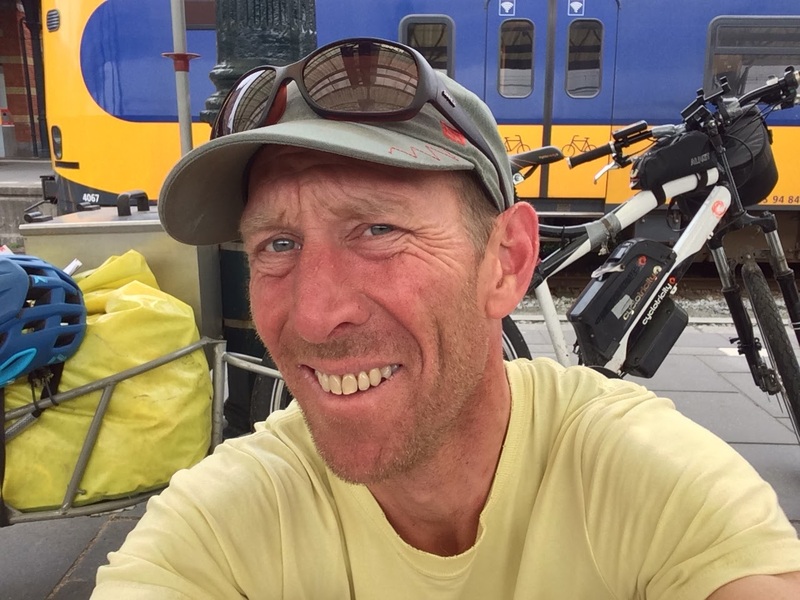 While Duncan felt he had touring on a bike now “sorted” his body was telling him his adventure had taken its toll, with tiredness making it harder to wake up each morning. 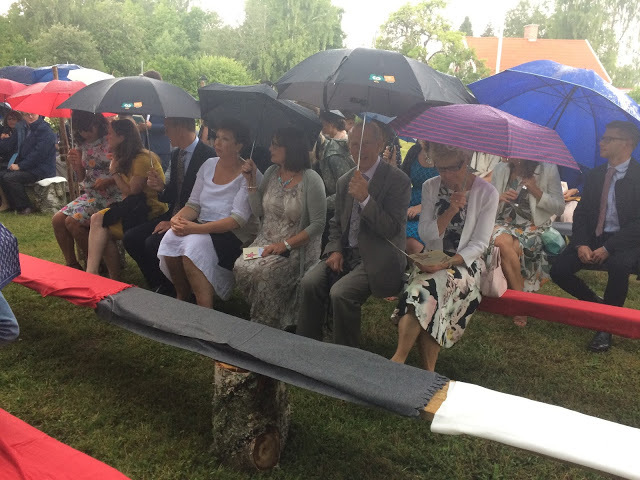 Still, he arrived on time for his cousin’s wedding ceremony – and more rain. 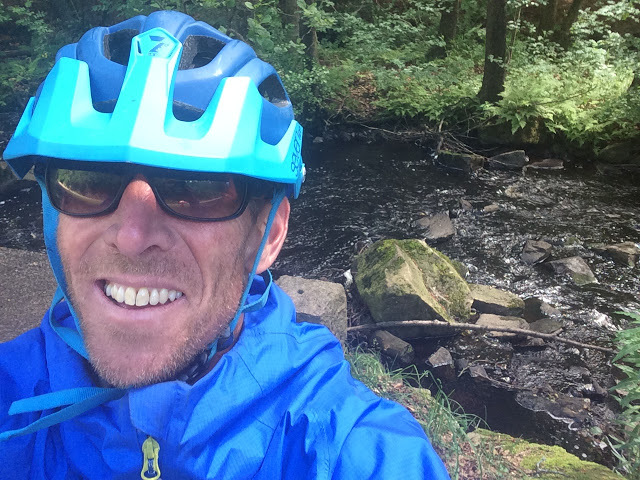 On his recent solo trip to Sweden, Duncan says that adventure is “something I just never thought would be possible again.” While it required the stamina 10 days of cycling demanded, Duncan also had to have faith in his bike. CycloTricity supported Duncan on his trip to Sweden; Rami Akily told Pedelecs: “When Duncan first told us he wanted to ride his e-bike all the way to Sweden, we thought he’d gone mad! But knowing the type of character Duncan is, we knew there was no stopping him. We offered to send a motorhome with a couple of our staff members driving alongside him and give him any kind of help he may need on the road, but Duncan refused any help whatsoever. This was Duncan’s challenge, and he simply was going to pull it off singlehandedly! Seeing his determination, we started coming round to believing he could actually do it. Still, we offered to customize his CycloTricity bike and beef it up with chunkier suspension, brakes etc., but Duncan felt the bike was robust enough as is, and instead only asked for a couple of extra batteries to provide him with extra range.